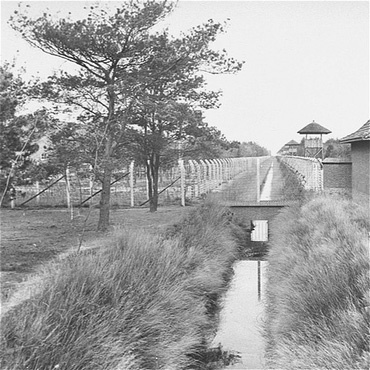 Herzogenbusch concentration camp (Dutch: Kamp Vught, German: Konzentrationslager Herzogenbusch) was a Nazi concentration camp located in Vught near the city of 's-Hertogenbosch, in the Netherlands. Herzogenbusch was the only concentration camps in western Europe outside of Germany. The camp was first used in 1943 and held 31,000 prisoners. 749 prisoners died in the camp, and the others were transferred to other camps shortly before the camp was liberated by the Allied Forces in 1944. After the war the camp was used as a prison for Germans. 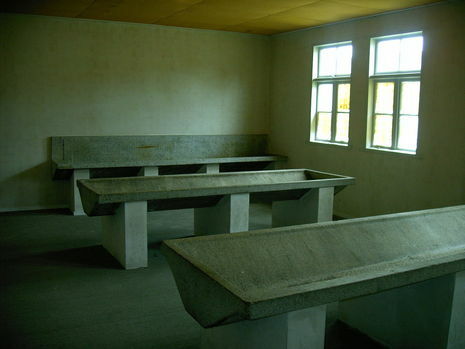 Now there is a visitors center with exhibitions and a national monument remembering the camp and its victims. During the World War II, Germany occupied the Netherlands (1940–1945). The Nazis transported Jewish and other prisoners from the Netherlands via the transit camps Amersfoort and Westerbork to concentration camps such as Auschwitz and Bergen-Belsen. When Amersfoort and Westerbork appeared to be too small to handle the large amount of prisoners, the Schutzstaffel decided to build a concentration camp in Vught near the larger city 's-Hertogenbosch. The building of the camp Herzogenbusch, the German name for 's-Hertogenbosch, started in 1942. 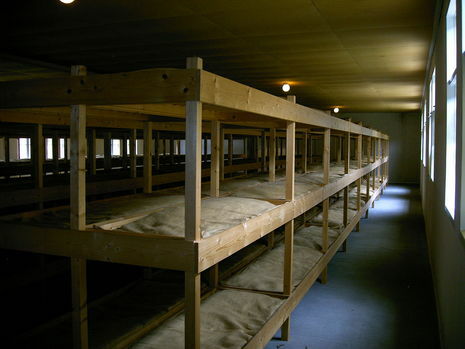 The camp was modeled after the concentration camps in Germany. The first prisoners, that arrived in 1943, had to finish building the camp. 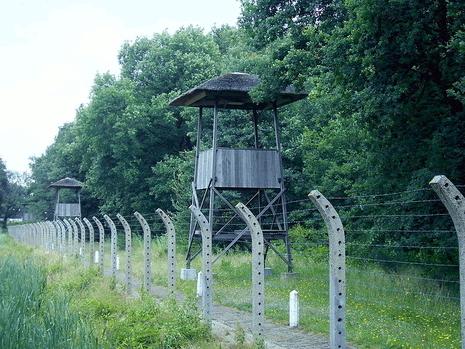 The camp was used from January 1943 until September 1944. During this period, the camp held nearly 31,000 prisoners: Jews, political prisoners, resistance fighters, gypsies, Jehovah’s Witnesses, homosexuals, homeless people, black market traders, criminals and hostages. Due to hunger, sickness and abuse at least 749 children, women and men died in the concentration camp. 329 of them were executed at the execution site, just outside the camp. When allied forces were approaching Herzogenbusch, the camp was evacuated and the prisoners were transferred to concentration camps further to the east. When the camp was liberated in September 1944, by the 4th Canadian Armored Division and the 96th Battery of the 5th Anti-Tank Division, the camp was almost deserted. In the first years after the war, the camp was used for the detention of Germans, Dutch SS-men, (suspected)collaborators and/or their children, and war criminals. At first, they were guarded by allied soldiers, but shortly after by the Dutch. As a parliamentary enquiry (the Committee A.M. Baron Tuyll van Serooskerken) showed in 1950, this resulted in maltreatment and even summary executions. 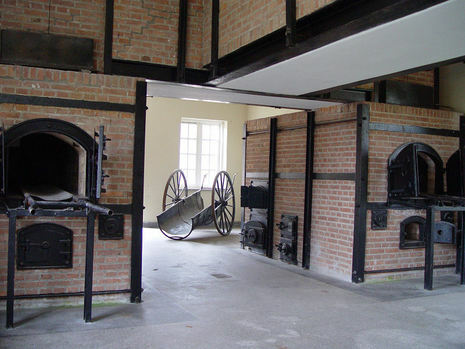 Herzogenbusch, located in The Netherlands, was the only official concentration camp in western Europe located outside of Germany. The common name for the camp was "Vught" after the district in which the camp was located. The camp functioned from January, 1943, to September, 1944. About 30,000 inmates passed through the camp of which about 12,000 were Jews.